The purists will take some convincing, but let's face it...the Indian Premier League is the most thrilling, exciting tournament on the cricket calendar. And that's even in a year when the World Cup and Ashes are still to come. To ensure you don't miss a moment of Twenty20 action, follow our guide to watching a 2019 IPL live stream from anywhere in the world. The 2019 IPL kicked off earlier than usual (thanks to the upcoming World Cup) on March 23. It ends on Final day on Sunday, May 12. Fixtures are played all around the country, culminating in the final that will take place at the 50,000 capacity M. A. Chidambaram Stadium in Chennai. 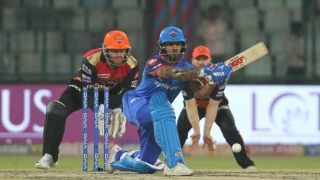 The IPL has grown into a cricketing behemoth over the span of the last decade and millions of global fans tune in to watch the breathtaking 20-over format. It also brings together the world's very best players to participate in the two-month extravaganza. Last year's winners, the Chennai Super Kings, are favorites in the 2019 IPL to make it two wins in two years. And it's no great surprise when you look through their roster - MS Dhoni, Ravindra Jadeja, Murali Vijay, Faf du Plessis and Harbhajan Singh are all in the ranks. They'll face stiff competition from the likes of the Mumbai Indians and Delhi Capitals. Although so far Virat Kohli's Royal Challengers Bangalore have really struggled. If you’re a fan of cricket and don’t want to miss any of the action of the 2019 Indian Premier League, then here’s our guide that will help you watch every game this season either on your television or with an IPL live stream online from all your favorite streaming devices. In India, UK, US or Australia? We've got you covered below with your official broadcasting options. But if you're out of the country and are still desperate to tune into certain matches, you'll quickly find that online access is geo-blocked. In order to get around that (and assuming it complies with the Ts&Cs of the broadcaster in question), you can download and use a VPN. It stands for Virtual Private Network, and the clever little trick it has is to let you change the IP address on your laptop or mobile device. So even if you're out of the country, you can appear back in your home country and thus avoid the geo-blocking. Star India and, in particular, Star Sports is the official broadcaster on TV in the host country. Not got access to Star? No worries - you can sign up for its over-the-top Hotstar streaming service instead. This will cost you either ₹299 (around $3) for a month or ₹999 ($14) for an entire year. There’s some relief for Airtel and Jio users as the telecom giants have bagged a deal with Hotstar. Both Airtel and Jio are allowing their users to stream live watches through Airtel TV and JioTV apps respectively. And it's not just cricket that Hotstar has on show, the above subscription also gets you access to hit US TV shows with Game of Thrones among the ones you can watch. If you live in the UK BT Sport has nabbed the rights to the 2019 IPL action. If you have a subscription, this means you’ll be able to watch the matches on TV or if you would prefer to watch an IPL live stream online away from your TV, you can do so by downloading the BT app on mobile. Away from the UK, but still want to watch the action? Then you'll need to go down the VPN route to watch BT Sport as if you were back at home. Relations between Pakistan and India continue to be fractious to say the least, and one of the results is that the 2019 IPL will not be broadcast in Pakistan. Very disappointing news for the cricket-mad nation. The Australian broadcaster for the Twenty20 IPL action is Fox Sports. With David Warner tearing things up and Steve Smith back in action, we can imagine a lot of Aussies will have more than a passing interest in this Ashes year. Your other option is to sign up for the fast-emerging Kayo Sports streaming service, which features no lock-in contracts and gives you access to over 50 other sports including the F1, NRL, FA Cup football, NBA playoffs...the list goes on! Handy if you don't want to go all out on Fox. For those wanting to watch their Fox Sports or Kayo subscription coverage overseas, you'll need to go down the VPN route as above. If you want to watch IPL 2019 in the US then you can do so on Willow TV. Willow is a dedicated live cricket channel in the US and Canada that is available from a number of cable providers including Dish, Spectrum, Xfinity, Verizon Fios and more. Customers that subscribe to Willow TV will be able to use their cable provider’s login and password on willow.tv to stream IPL 2019 right from their computer. Alternatively, Willow TV also has apps for Android and iOS if your prefer to watch matches on the go.